The IPv6 Hackers list was created to provide a platform for IPv6 security researchers and IPv6 networking professionals. Since August 2011 members discuss low-level IPv6 networking and security issues. 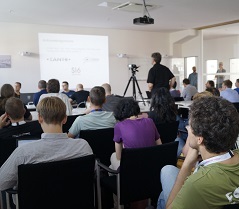 Now EANTC's offices saw the first in-person meeting with a variety of presentations and discussions on IPv6 security.